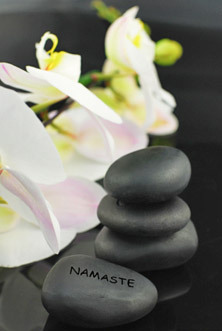 My name is Melissa Dawe, and I am the owner of Namaste Bodywork in Summit County, Colorado. Born and raised in rural Colorado, I grew up in a very nurturing household. Always taking an interest in an active and healthy lifestyle, it was a natural progression for me to move into the world of alternative medicine. Inspired at a young age by how profound the impact natural therapies could have on one's life, I decided to go on to become a massage therapist. After early graduation from high school, I was the youngest in my class to attend the Boulder College of Massage Therapy. Always striving for excellence, I completed the 1000-hour diploma program and graduated with honors. Then, onward and upward … literally, into the mountains I went! Hobbies I enjoy involve any creative outlet--particularly ceramics, photography, and cooking as well as playing with my dog, Rascal! In the future, travel for pleasure in addition to continuing the development of my Thai Yoga Massage practice are imminent. Symbolic of love and respect, the namaste statement and gesture have a spiritual basis, recognizing a common divinity within others. This eloquent statement not only communicates my mission as a bodyworker, it communicates my mission as a human being as well.